Susan lives in Norrköping, Sweden, and is from Kerboran, Turkey. She has three children and 9 grandchildren. Susan grew up in a Christian village in southeastern Turkey where she grew up as the oldest child of nine siblings. She was the only siblings who did not go to school because her grandmother wanted her to walk in her footsteps and become a midwife and medicine woman in the village. She as little followed her and learned how to use different plants and herbs for various diseases and disorders. Because she was also the oldest child, she also helped her mother to take care of her little sisters and brothers and cooked food for the family. At age 16, she, like many others, wanted to move to Germany to work. Her father did not let her do it and the bad conscience made him instead accept that she would move to Istanbul. There she lived with some relatives and was initially enraged because she could not speak Turkish. In the village she grew up, they spoke Kurdish, although she belongs to the Assyrian minority people who have their own language, syriac. 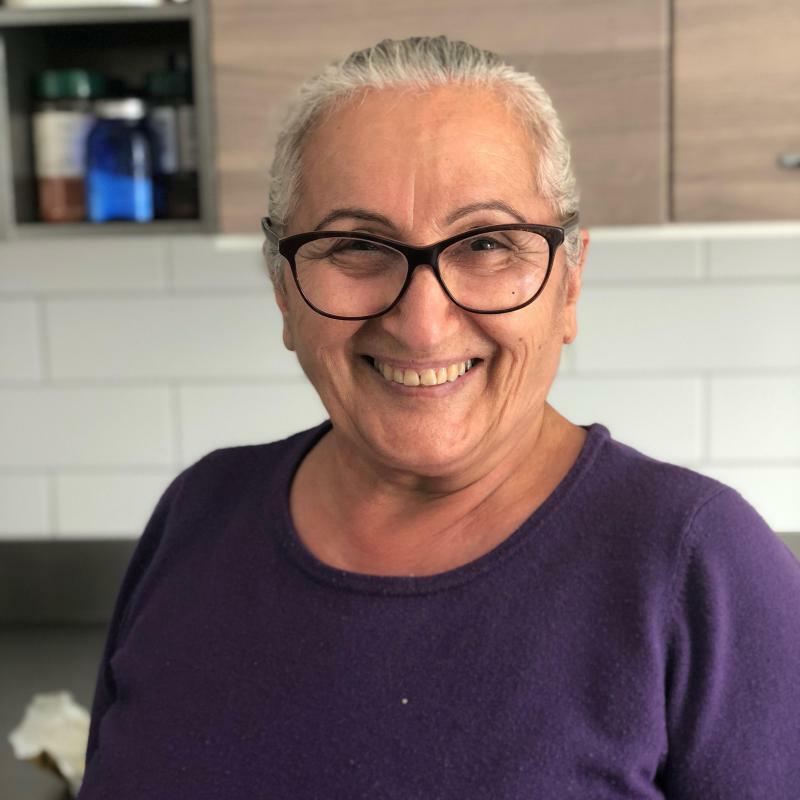 Eventually, she had to work as a service girl at a greek family. The family she worked with took care of her and taught her to read. Because she was illiterate, they bought children's books that she had to start reading. After one year working there, she went back to the village to visit her family. She found out then that her parents had chosen a husband for her to marry. Susan and her husband moved to Istanbul where they got their first child. When she was pregnant again, her husband moved to Germany to work. Susan had to move back to the village. There she gave birth to a daughterl who later died. In 1974, she was reunited with her husband in Germany. Two years later they moved to Sweden. In Sweden, Susan began to work as a nanny in a daycare because she enjoyed taking care of children. Her reading skills she got from the family she worked for in Istanbul helped her learn the Swedish language easier. But the language barrier puts a stick to her in many situations. When her brother persuaded her to take a driving license, she did not even want to try. She could not read the traffic rules in Swedish and saw it as an impossibility. With the help of the driver at the traffic school, she managed to get her driving license. It made her feel proud and her self-confidence increased. Susan loved to embroider as little and made lots of creations, which she unfortunately did not bring to Sweden during her move. But when her mother came to Sweden she had one of Susan's first embroidery work, a pillowcase she did when she was 9 years old. Susan showed this pilowcase for the children at preschool where she was working, when they were going to learn how to embroider. Today she is happy she can show it to her grandchildren.